by Japanese Artist Makoto in Italy. · “FUSHIKADEN tenka no emotion” set design – Spazio Teatro No’hma, Milan (ITA). · Direction, production and scenography of the dance theater “Codice NB” Nakanojo Biennale 2017 – Suwa Shrine, Gumma (JPN). · “FUSHIKADEN tenka no emotion” set design – Alle Vigne Theater, Lodi (ITA). · Scene manager “Scene V / Future Restaurant” – Japan pavilion of EXPO 2015, Milan (ITA). The Japan pavilion took gold medal for the design category. · Performs at the Dance Show “Origami Moon” in the part of the co-star Tatsuo – Youth Center Dialma Ruggiero, La Spezia (ITA). 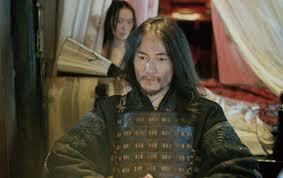 · Recounts in the tele film “The commissioner Rex” in the part of the co-star Goro Yamashita of the episode of “893”. · Installation and performance “Dancetallation / Anima bianca” (the project for the integration between dance and artistic installation) – Karel Music Expo: BIANCO 2013, Cagliari (ITA). · Installation of the dance theater “passage of the season” – Besana in Brianza (ITA). · Performs at the Dance Show “The Hoo Hoo” in the part of the co-star Tatsuo – Castello Malaspina di Fosdinovo, Fosdinovo (ITA). · Attends the training course for actors – Theater company NUT, Milan (ITA). · Production and scenography of the dance theater “Dancetallation / Nukrgara” – PiM Spazio Scenico, Milan (ITA). · Production and scenography of the dance theater “Dancetallation / Nukrgara” – Antiaereo Refuge Martana, Massa (ITA). · Performance and direction of the dance theater “Dancetallation” – Cultural Circle La Mandragora, Massa (ITA). · Direction and scenography of the dance theater “CORTE DISCOUNT in IMPREVISTI IN DANZA 4” – PiM Spazio Scenico, Milan (ITA). · Scenography of the dance theater “COURAGE DISCOUNT in IMPREVISTI IN DANZA 1” – PiM Spazio Scenico, Milan (ITA). · Theater performance at the “MIXXX UNIT” – Frau, Viareggio (ITA). · Recited in the film by Ermanno OLMI “Singing behind the Screens” in the part of Admiral Ching, co-star alongside Jun ICHIKAWA and Bud SPENCER. · Production of the “purenissimo” concert on the occasion of the 50 / A international art exhibition of the Venice Biennale with Soprano Norie Suzuki / Composer Hiroshi Sato – Spazio Proietto, Corderie dell’Arsenale Venice (ITA). · Showcase for “Hutong Gallary” – Milan (ITA). · Preparation for the personal exhibition “Sin-On 2001” by Shuhei Matsuyama on the occasion of the 49 / A international art exhibition of the Venice Biennale – Spazio Proietto, Corderie dell’Arsenale Venice (ITA). · Design of the “Gourd and Sack” dance theater in collaboration with YAN-SHU – Lilian Baylis Theater @ Sadler’s Wells – London (GBR). · Stage director for the fashion show in collaboration with Fashion Brand Vorterano – Compagnia Generale dei Viaggiatori Naviganti e Sognatori, Milan (ITA). · Installation and direction of the dance theater “Dancetallation” – Dance festival “BUTO”, Together for Fare, Rome (ITA). · Interpreter for the Dance Workshop Butoh “Akira Kasai, Masaki Iwana, Yumiko Yoshioka” – Together for Fare, Rome (ITA). · Performance and direction of the dance theater “Dancetallation” – Art event “TRANSFORMATION”, Teatro Miela, Trieste (ITA). · Installation and direction of the dance theater “Dancetallation” – Art event “POSIZIONE K”, Palazzo Azzuro, San Benedetto del Tronto (ITA). · Resia and scenography of the dance theater “Dancetallation” – Art event “HICETNUNC”, Auditorium Theater of the Civic Center, San Vito al Tagliamento (ITA). · Installation and direction of the dance theater “Dancetallation” – Art event “IX PORTATTAS INATTUALI”, Sitran D’Alpago, Belluno (ITA). · Costumes for theatrical company “NUOVE TERRE” of Milan – RAI transmission, Turin (ITA). · Installation and direction of the dance theater “Dancetallation” – Art event “ART IN / CONTEMPORANEA’97”, Multipurpose Center, Latisana (ITA). · Installation and direction of the video art “Dancetallation” – Art event “TRANSVERZALA UTRINKOV”, Znojile, Kal (SVN). · Installation and direction of the dance theater “Dancetallation” – Art event “STATION OF TOPOLO”, Grimacco (ITA). · Resia and scenography of the dance theater “Dancetallation” – Multi Media Bar MOLTO, Milan (ITA). · Take part in the WorkShop “Living Theater” – Ponte della Ghisolfa, Milan (ITA). · Resia of the dance theater “Dancetallation” – Villa Soranzo, Varallo Pombia (ITA). · Set design for the “ANIMA SELVA” dance theater – Ponte della Ghisolfa, Milan (ITA). · Set design for “ANIMA SELVA” dance theater – Comuna Baires Agorà Club, Milan (ITA). · Resia and scenography of the dance theater “Dancetallation” – Santa Apollonia, Venice (ITA). · Set design for Butoh performance “THE DAY OF RETURN TO THE SEA” – Castello di Lerici, Lerici (ITA). · Installation for theater show “Adriano Fa Teatro” – streets and farms in the Adriano area, Milan (ITA). · Attends the course of “Dance Butoh” of Bunnami – Milan (ITA). · Performance at the “Artisti in piazza” – Piazza Carducci, Seravezza (ITA). · Musical performance at “Gianni Sassi al Lirico” – Teatro Lirico, Milan (ITA). · Take part in Yumiko Yoshioka’s “Dance Butoh” Workshop – La Spezia (ITA). · Musical performance at the “Opening party LAB” – LAB, Sarzana (ITA). · Theater performance at the “Spazio Giovani” art workshop – Marble Machines, Marina di Carrara (ITA). · Theatrical performance at the “International Festival” – ANIMATED FIGURES, Perugia (ITA). · Street performance – Florence (ITA). · Production, installation and musical performance at “Live Art in BARAONDA II” – BARAONDA, Cinquale (ITA). · Production and theater performance “Live Art in BARAONDA” – BARAONDA, Cinquale (ITA). · Performance and Installation at “Through the fire” – Padula Park, Carrara (ITA). · Performance with Video at “FLUXISTIES 60’S” – Il Portico del Beccafumi, Sarzana (ITA). · Attends the course of “Biodanza” – Carrara (ITA). · Performance at the “Personal Exhibition” – Il Portico del Beccafumi, Sarzana (ITA). · Performance at the “Japanese Artists” – Galleria Atelier, Carrara (ITA). Copyright© Codice Bianco All Rights Reserved.